Christmas time is full of unique joys and unique pressures. 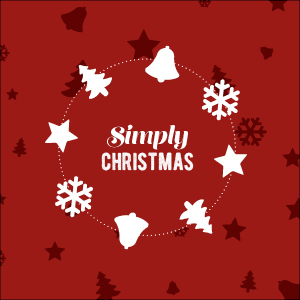 "Simply Christmas" looks at three areas that come especially into view at this time of year: Friendship, family and time. What does the coming of Jesus into the world mean in these three areas? Christmas is a time that focuses our attention on what matters. Friendship is a key ingredient of what makes us tick as human beings. This message aims to help us evaluate the simplicity of what friendship is. We can see family gatherings as something to be put up with, or a great opportunity to bring grace to people that you're connected to. The Christmas story, like the whole of the Bible, shows us that God is in charge of time. This frees us from seeing time as a tyrant and we can instead use it as a tool. Luke gives four ways we can do this.